Sometimes the heroes of history are truly worthy of the golden reputations they carry. 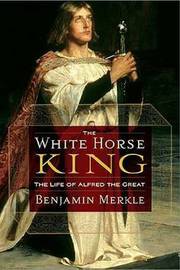 King Alfred united Anglo-Saxon England against a Viking invasion, led the English into battle against the Danish hordes, created a renaissance of literature and the arts, reformed the legal system, and set the stage for a revival of Christian worship. But that's not what made him great. Ben Merkle unravels the tale of how a great man came to power during one of the most difficult periods in English history, how he led his nation through them, and how he laid the groundwork for England's coming triumphs on the global stage. Benjamin A. Merkle is a Fellow of Theology and Classical Languages at New Saint Andrews College and a contributing Editor to Credenda/Agenda. He received an MA in English Literature from the University of Idaho and is currently pursuing his doctorate at Oxford.